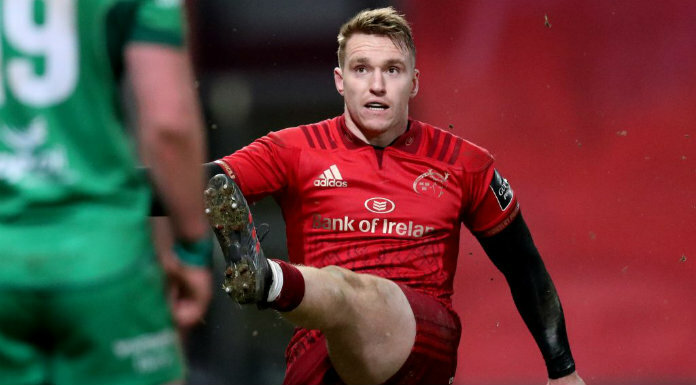 Munster centre Rory Scannell believes their supporters will be out in force again for this Saturday’s Heineken Champions Cup semi-final against Saracens. The province have reached the penultimate hurdle for the third consecutive year but fell to the English outfit in the Aviva Stadium in 2017. With an away fixture this time around, the fans will play a key role if Munster are to reach a first final since 2008. Scannell says their supporters played their part in the quarter-final win at Edinburgh. Kick-off at the Ricoh Arena, Coventry on Saturday is at 3pm.